What happens when Hollywood glamour and post war neo-realist Italy meet? This was the question which directed the design decisions on this one. The post war Hollywood aesthetic is well known and easily recognized --and for those who appreciate Italian film publicity of that era, it's understood how much of that aesthetic was borrowed, filtered and repurposed for their domestic market. 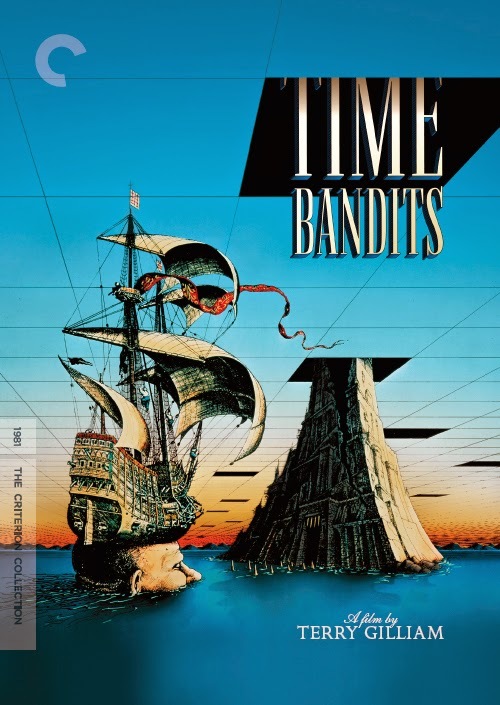 The Italians typically illustrated and hand-lettered the film posters of that era. Check out David Kehr's Italian Film Posters (The Museum of Modern Art) for some stellar examples. 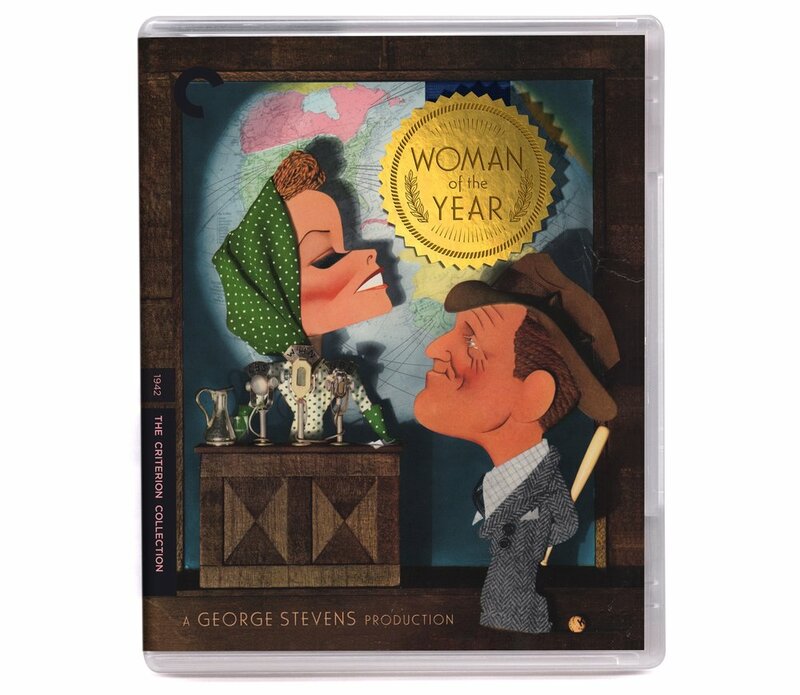 Criterion wasn't going that route for this one. 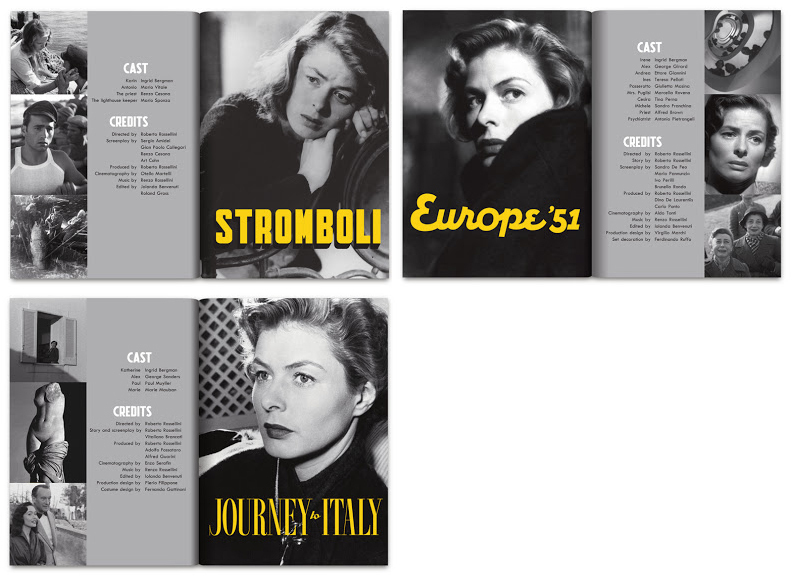 The imagery for 3 Films By Roberto Rossellini Starring Ingrid Bergman would all be photographic. There are fewer examples of photographic Italian film publicity from that era but if you look hard enough you can find them. They're typically black and white or two-color affairs. The effect is often raw and immediate. Pretty much what one might expect to see from a war ravaged society with limited means. For this set I tried to evoke as much of that feeling as possible. Most all of the title treatments used throughout the packaging are hand-drawn --Journey to Italy being the exception. Critertion was looking to see Bergman exclusively as the face of this package. Three portraits representing the three movies. 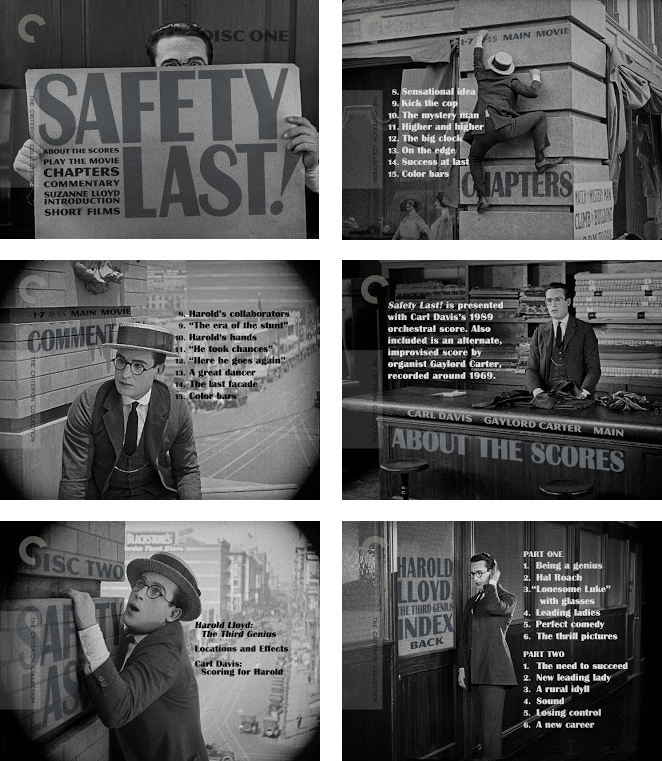 This was an approach that we'd used to great effect on 3 Silent Classics by Josef von Sternberg. Yet for that set the portraits were all different and the typographic treatment was the same. This time around the formula flipped. It was also important too to stress the three locations in which these stories took place. The lettering on the cover is my adaption of a typeface I spotted on an Italian poster --advertising a rice product of all things!-- it was era appropriate and had the kind of idiosyncrasies I was looking for. The trouble was there were only about 6 letters on my source. So I needed to extrapolate an entire alphabet and also cook up a lighter weight too. It felt like applying this style to all three covers was going to get repetitive so I set out to come up with letterforms that would make each title distinct.